Global consumer goods giants Nestlé and Procter & Gamble are set to open new factories in Indonesia to capitalise on rising demand attributable to increased wealth and a young population where 22 million people are under the age of four. Nestlé is said to have invested $200 million to start production of powdered milk by 2014. Procter & Gamble is building its first factory in Indonesia, located in West Java, with an anticipated investment of $100 million to produce its Pampers diapers brand, while New Zealand dairy giant Fonterra is investing this year into a new dairy packing plant, and Unilever and Danone are stepping up their advertising budgets. The multinationals, however, will face strong competition from large domestic companies. 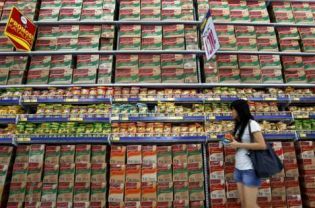 Indofood, a major Indonesian food company and the world’s biggest noodle maker, is building a $130 million milk factory on Java. Unicharm, Indonesia’s largest diaper producer, expects to start operations at a new factory in eastern Java next year. Taking into consideration what Indonesian Trade Minister Marie Pangestu calls the “demographic dividend” and the favourable economic forecast of about 6.8 per cent GDP growth this year, it becomes easy to see why global brands find the country so appealing. The vast archipelago is the fourth most populous nation in the world with 50 per cent of its population under the age of 30. Indonesia is the largest economy in the 10-country bloc of ASEAN with a GDP of $846 billion in 2011, according to the International Monetary Fund, and exceeded growth forecasts in the second quarter of 2012 by expanding 6.3 per cent, making it one of the fastest growing in the region. The fact that Indonesia has the second highest birth rate in Asia – not altogether surprising considering the lack of access to reproductive health information – has also buttressed the surge in consumer product demand, especially for milk and disposable diapers, the latter posting the fastest sales growth rate. Diaper sales increased an astounding 35 per cent every year from 2006 to 2011, while milk has experienced a 9 per cent rise annually, Reuters reported. At the heart of Indonesia’s economic engine is its burgeoning middle class, which is expected to mushroom to 150 million people by 2014. The added sophistication in shopping that middle-class consumers search for has lead to regional players staking a claim in Indonesia’s retail market. Thailand’s Central Retail Corporation (CRC), one of the largest retailers in the country, has reserved $19.5 million for its new Central Department Store, which will open in Jakarta in 2014. The already swelling rise in domestic consumer goods demand also opens up avenues for increased advertising, believed to be the best solution to marketing milk in a country where lactose intolerance is common.